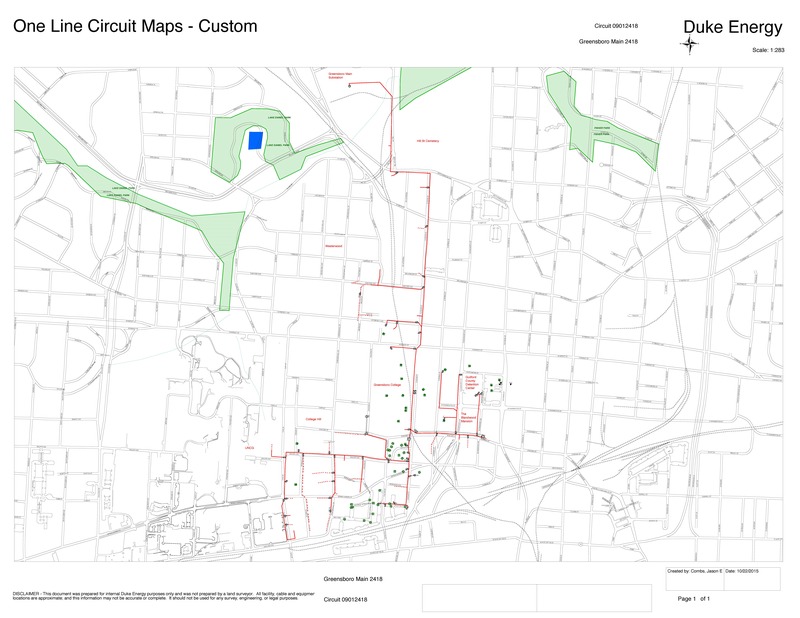 The red lines show where Duke Energy plans to trim trees in December or January. Click on the map to make it big enough to read (you may need to click twice). Duke Energy is planning to trim trees on most streets in College Hill during UNCG’s winter break. The red lines on the map above show where they’ll be working: South Mendenhall Street between Walker and Oakland avenues, Walker Avenue, Springdale Court, Morehead, McGee, Joyner, Jackson, Fulton and Cedar streets. Duke Energy is willing to host a community meeting with their arborist between October 31 and November 10. If you would be interested in attending such a meeting, please let me know through the comments, and we’ll work with the city and Duke to get it scheduled. UPDATE: The meeting will be held Tuesday, November 15, at the cafe of the First Baptist Church, 1000 West Friendly Avenue. This entry was posted in Cedar Street, Duke Energy, Fulton Street, Jackson Street, Joyner Street, McGee Street, Mendenhall Street, Morehead Street, Oakland Avenue, Spring Garden Street, Springdale Court, Trees, Walker Avenue. Bookmark the permalink. I would be interested in attending a meeting with Duke Power. Our HOA has hired a contractor to have several trees pruned on Cedar Street – next to the Historic Wafco Mill in mid-October, so I’d like to make sure that Duke does not just “top” the same trees and damage them. Be aware that before you cut any mature trees down, talk to Mike Cowhig (Mike.Cowhig@greensboro-nc.gov, 336-373-2755) of the city historic preservation staff. Even if trees are diseased or have other problems, you need a certificate of appropriateness to cut them down if they’re at least four inches in diameter at breast height. The entire Historic District Manual and Design Guidelines document can be found online at http://www.greensboro-nc.gov/modules/showdocument.aspx?documentid=5380. Hello we would be very interested in a meeting. We moved into 321 Tate St an d there are vines growing on the wires out front. We did cut the vines down at the base and put Roy duo on the roots. We also have a two trees that have serious health issues and boars. New Garden nursery was out of another project and they mentioned that something should be done, possibly removal with replacements, which we will do and even add more plantings along our fence line. I do believe that the tress in qestion are listed as poor health in the inventory.